I did not buy a single box of Thin Mints this cookie season. Who says I can’t avoid temptation? I love them but I eat way too many. 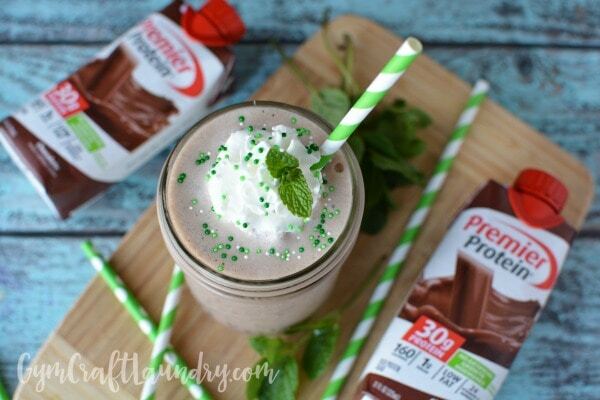 But there is something so refreshing about minty chocolate. I always need help when it comes to my cravings. My sweet tooth is my undoing when it comes to my health and fitness goals. Got a soft spot for Andes? No problem. Can’t stay away from mint chocolate chip ice cream? Got you covered. This recipe helps tame that sweet tooth for sure. Do you need a little motivation to get active? 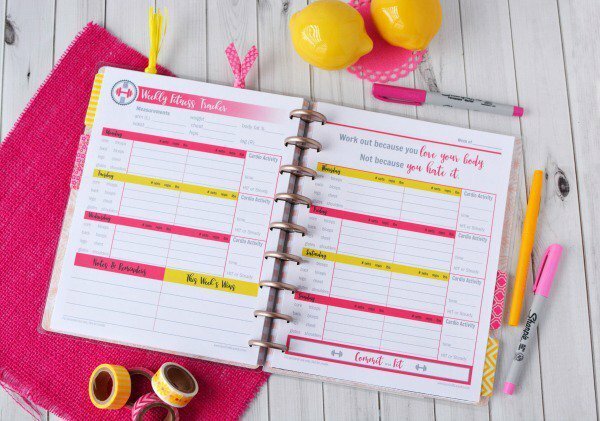 Summer is around the corner... my adorable fitness planners may be the little push that will get you going! Do you want a little fitness motivation? My printable fitness planners may be just the push you need to get working on your summer body! Click the image to check them out! 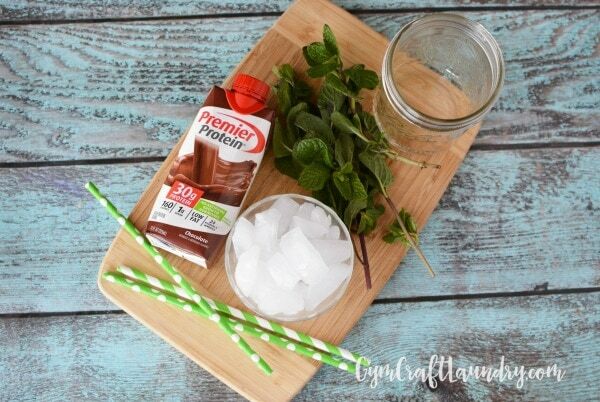 First place ice cubes and mint into a blender. 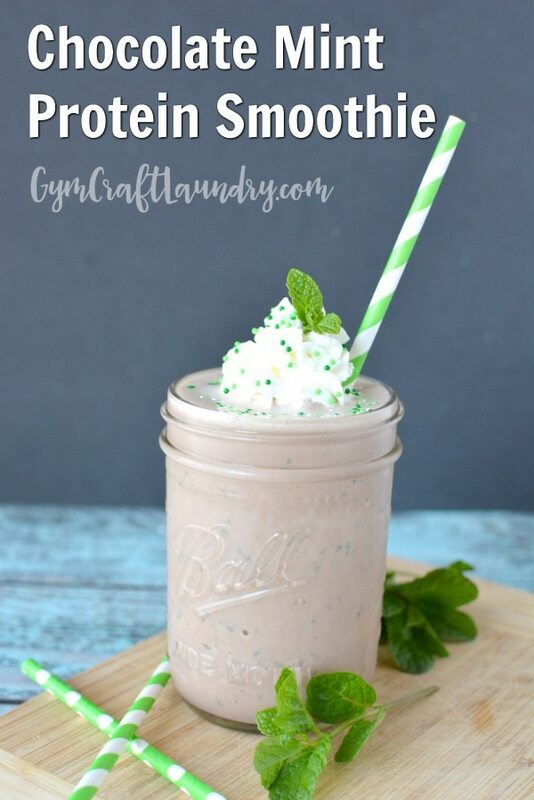 Next you add the premier protein drink. Blend until ice is crushed. Pour into glass and top with whipped cream and sprinkles and drink immediately. I like spicing up my protein shakes! Are you intrigued by the smoothie recipes I’ve been sharing recently? 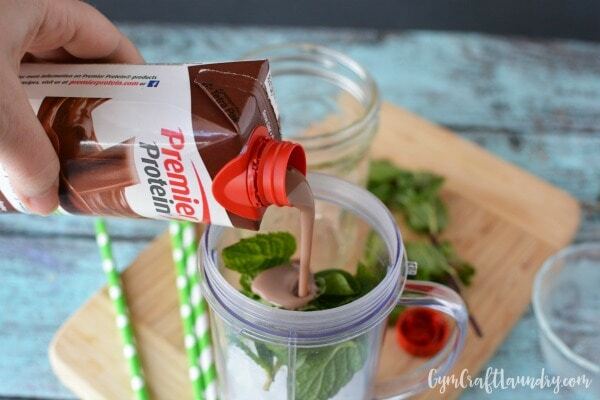 Do you want to try some premier protein yourself? 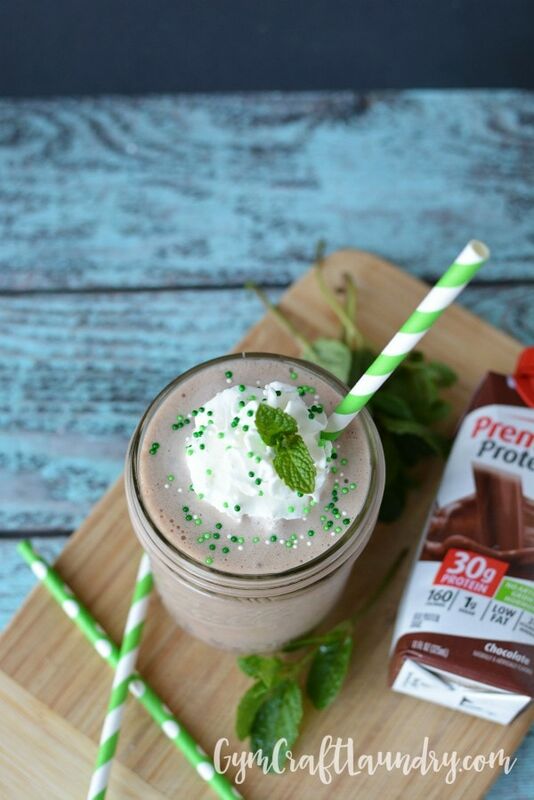 You can find Premier Protein at Costco, Sams Club, and Walgreens.